Ballet dancers do make it seem like their moves are effortless and most definitely graceful for sure. Cheers! I wanted to be a ballerina, one of about a hundred things I wanted to do when I grew up. :-) I attended a ballet production of Swan Lake once in my teenage years; only time I've seen ballet live. As a youngster, I too wanted to be a ballerina and about 100 other things too! Ballets are fun to attend as well as other types of dance. Me too! I wanted to take ballet but it wasn't in the cards. I cannot wait to read this book. 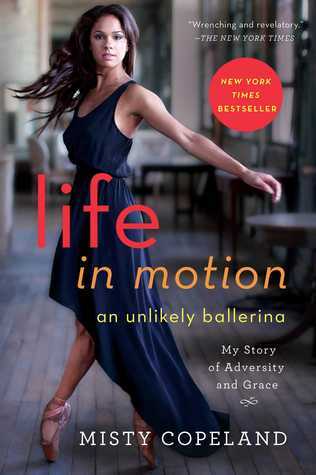 I look forward to hearing your thoughts on Life In Motion once you read it.